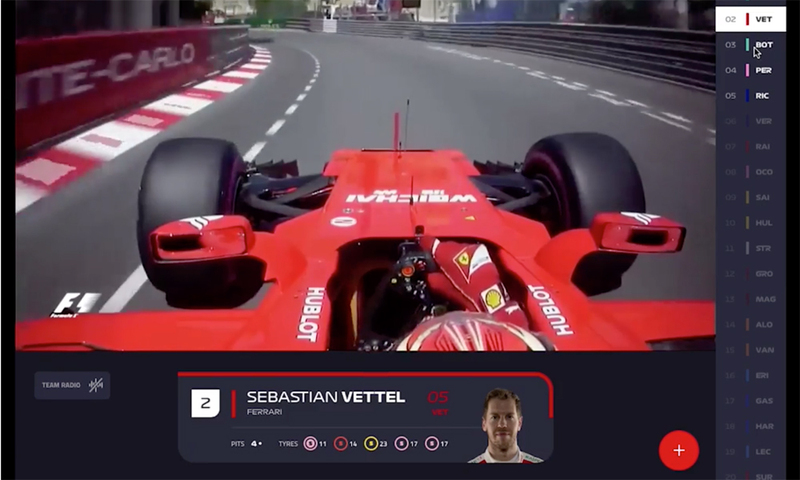 Formula 1, which just launched its direct-to-consumer OTT service, F1 TV, earlier this year, is already looking for avenues to take its offerings more global. Last week, it was revealed that F1 TV may be coming to Amazon Prime in certain markets, including here in the U.S. via Amazon Prime Video. F1 TV, an OTT service from Formula 1, launched earlier this year. Now the service may be coming to Amazon Prime Video in selected markets. Last week, Formula One Group struck an intriguing deal with Amazon Web Services (AWS) to move the majority of its infrastructure from on-premises data centers into the cloud with AWS and standardizing on AWS’s machine-learning and data-analytics services to accelerate that cloud transformation. In addition, F1 will work with AWS on projects related to race strategies, data-tracking systems, and enhancing digital broadcasts through AWS services. The natural connection there includes building out unique viewing experiences of F1 TV over Amazon Prime. “It makes sense for us to be on [Amazon Prime] because it’s an open platform and we’re already in discussions with them about distribution in the future. In the U.S., we have an agreement with ESPN that allows us to exploit our own OTT service separately so we’ll definitely be on Amazon Prime [there]. F1 will offer an exclusive look inside the big launch of F1 TV and what the organization has learned so far, when David Bailey, senior digital research manager, F1, offers an in-depth case study at the SVG Sports OTT Forum on July 26 in New York City. This OTT experience case study will focus on the huge global fan base and established broadcast business that underpins F1’s success. Bailey will discuss such topics as the digital priorities they set for themselves, including the launch of F1 TV; their research to identify and segment the F1 audience: meet the “Habituals,” “Purists,” “Sociables.” and “Excitables”; building the case for F1 TV with focus groups, social listening, and user testing (and their per-market pricing and packaging); the determination to make F1 TV the greatest OTT racing spectacle on earth; and how a “fans come first” philosophy reveals itself. To learn more about the SVG Sports OTT Forum and how to attend, contact SVG Director of Digital Brandon Costa at [email protected].